In Luke 11:28 we are reminded the blessing of God upon those who not only listen to God’s Word but actually honor, apply, and obey its truth. With that truth in mind it becomes heartbreaking to walk along the historical streets of Boston and see church after church rejecting faithfulness to God’s Word and therefore rejecting blessing from God. One of the first steps we have taken towards establishing a church plant in the greater Boston area has been to research and develop a firm understanding on what kinds of other churches are already in the area. 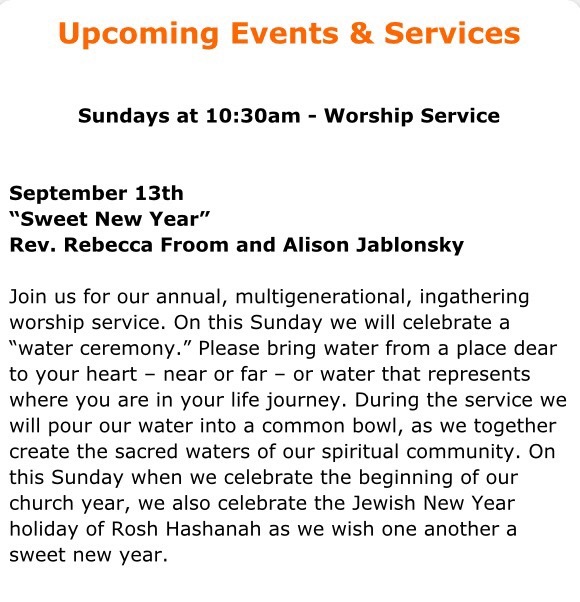 We have attended one such church every weekend since our arrival and have been increasingly broken-hearted. Building after building, congregation after congregation displays a complete disregard for God’s Holy Word and many go so far as to affirm and encourage sin in the life if their congregants. To be under God’s disapproval, wrath, and outside of His blessing is not a place any true church should desire to be. And yet the streets of Boston are lined with such churches. 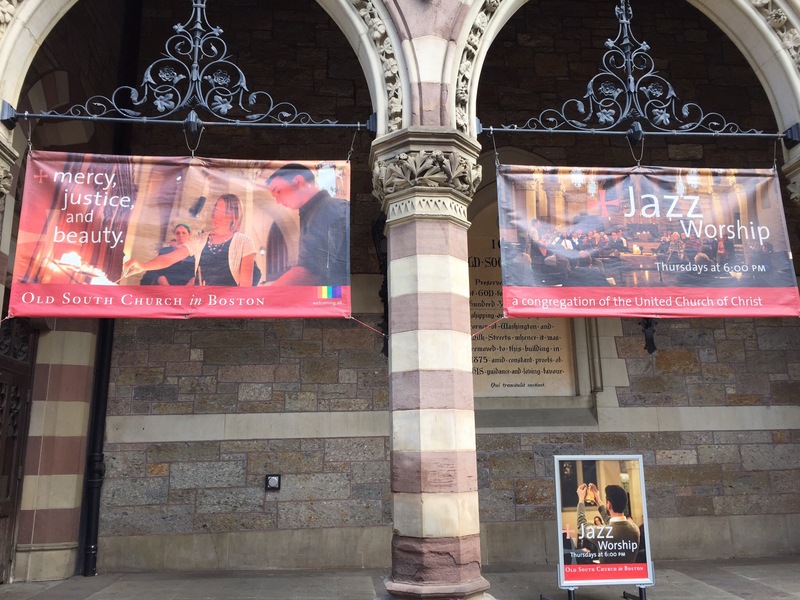 As one takes a short stroll through Boston Common towards Fenway Park one necessarily passes more than a dozen beautiful church buildings each one just as outside of God’s favor as the next. 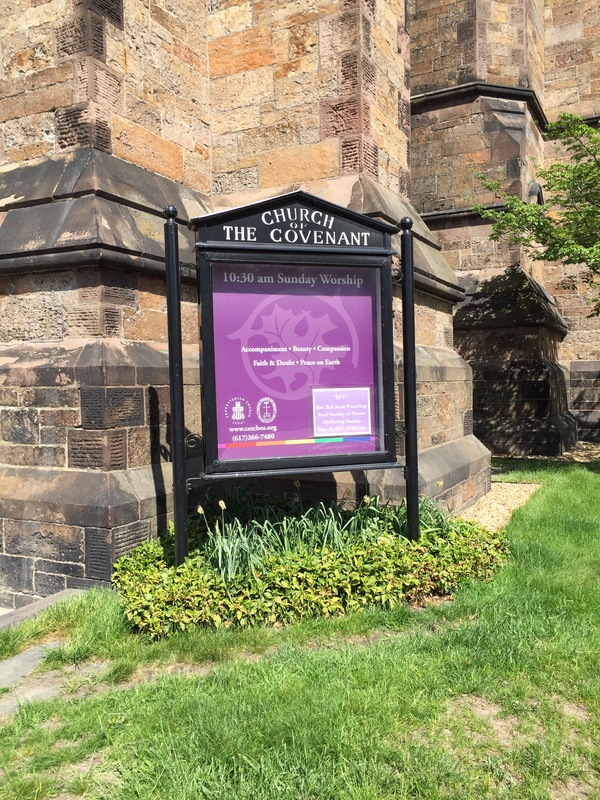 I’ve included some pictures we have taken of a number of these churches and have found a very common denominator: the inclusion of a rainbow to signify their approval and support of the LGBT (Lesbian, Gay, Bisexual, and Transgender) in Boston. See if you can spot the rainbow in each of these pictures below. This past Sunday Brian and I visited one such church here in our own community of Quincy. The United First Parish Church of Quincy. Below is the church’s own explanation of the type of service we sat through. It doesn’t take much to see why such a “church” would not receive the blessing Jesus spoke of in Luke 11:28. 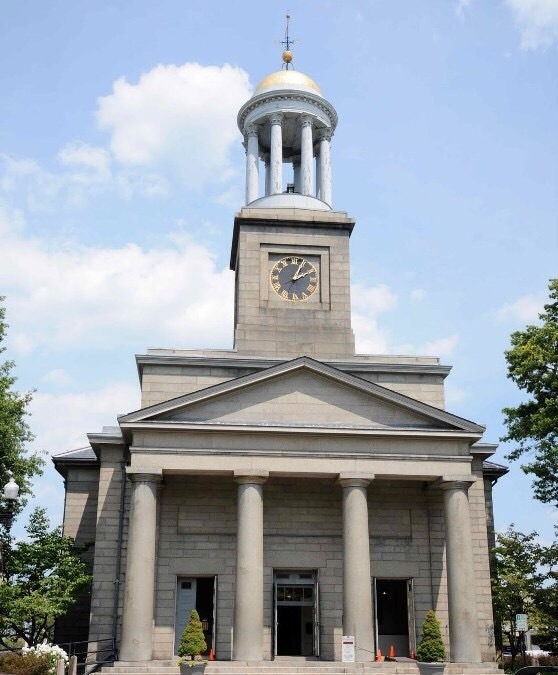 This church is actually a historical site as it is the burial place of two American Presidents John Adams (2nd POTUS) and John Quincy Adams (6th POTUS). 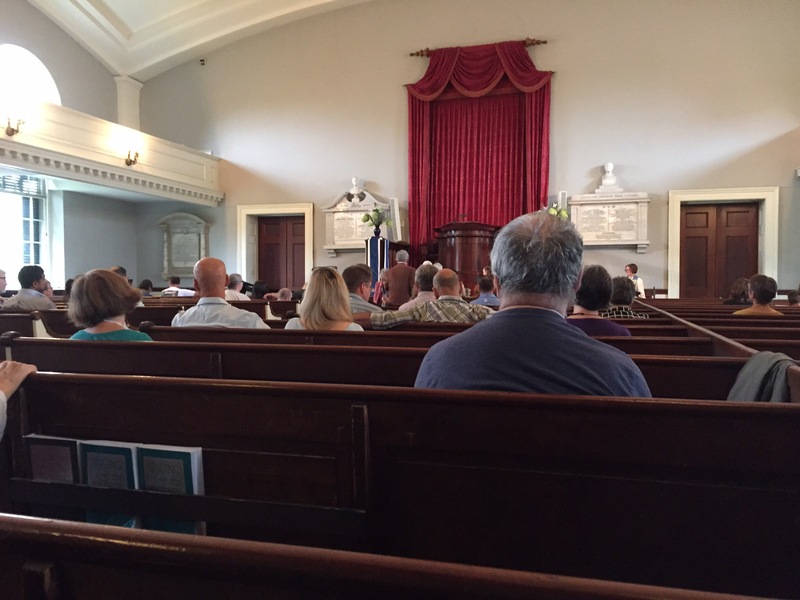 It’s Founding Puritan congregants held their first meeting in 1636 and the beautiful building was completed in 1828. Yet the God of the Bible who was once worshipped here is drastically absent in spirit or even in reference. The cross that once hung behind the pulpit has been covered with a large curtain as you can see in this picture below. The large curtain reminded me of the scene from The Wizard of Oz where Dorothy was told to “pay no attention to that man behind the curtain.” Such theology seemed to be the thrust of the entire service. Perhaps even more surprising was their edited and revised Hymnal. 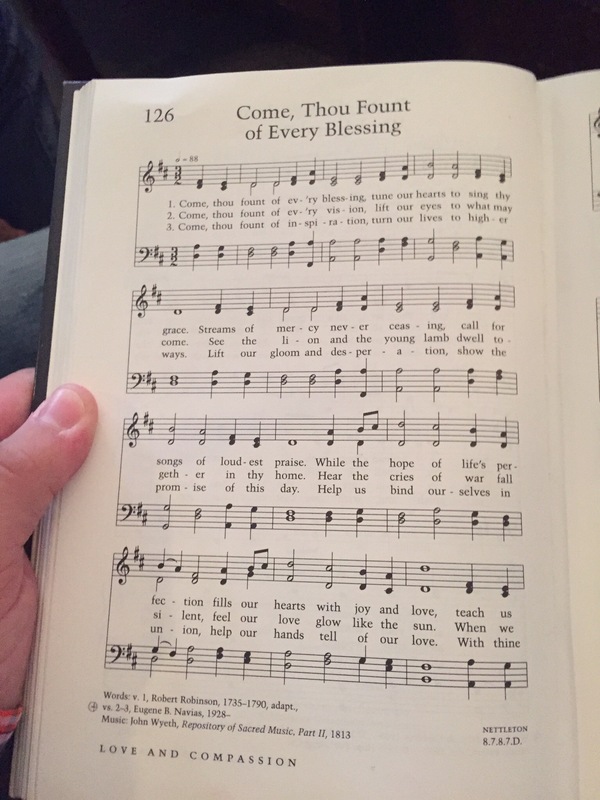 One of the songs for the service on Sunday was the familiar “Come Thou Fount.” Below is a picture I took of the Hymnal this past Sunday. See if you notice the difference. Notice the lack of any reference to the God of the Bible let alone the name of “Jesus” who “sought me when a stranger wandering from the fold of God. He to rescue me from danger interposed His precious blood.” This Gospel truth has been removed completely in favor of something more palatable for those of any faith. What a shame. 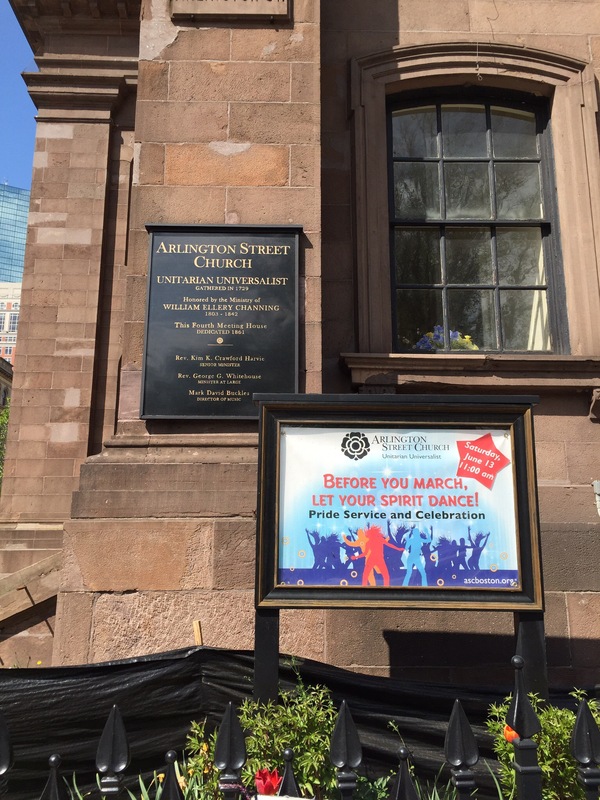 So I ask you, reader, is there a need in the Boston area for a Gospel-preaching Biblically faithful church? The answer is a resounding “yes.” But amidst such darkness, there have been glimmers of light. We have visited a few churches where the Gospel is being preached and compromise hasn’t taken hold. 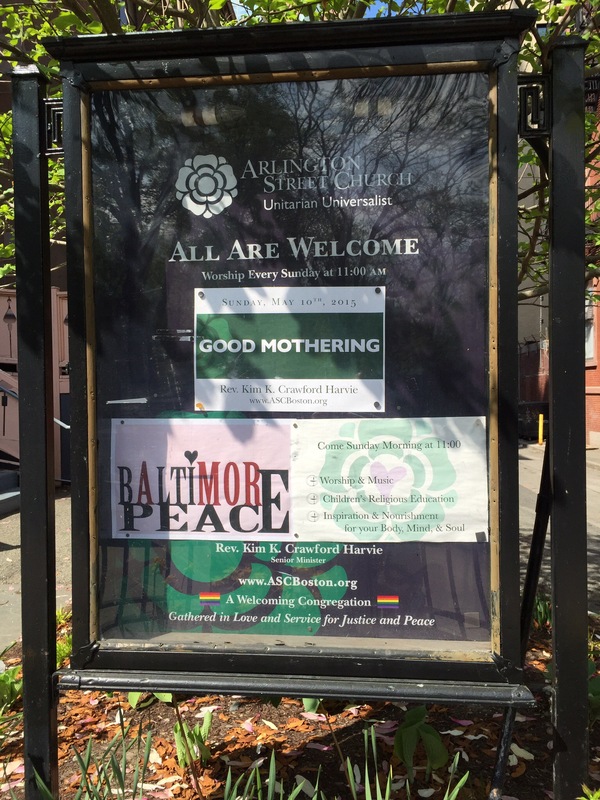 Life Community Church, Central Baptist Church of Quincy, and Hope Fellowship Church in Cambridge have been breaths of fresh air in comparison and have offered us encouragement. I have met with the Pastors and leaders of these churches and have found like-minded men who are excited and supportive of what we have been called to do here. And even as we have set our hand to the plow, The Lord has already blessed us by building His church. One Sunday as we traveled more than 30 minutes away to Camridge for a Bible-teaching church we met a sister in Christ who was riding the “T” (the subway) with us from Quincy where she lives. 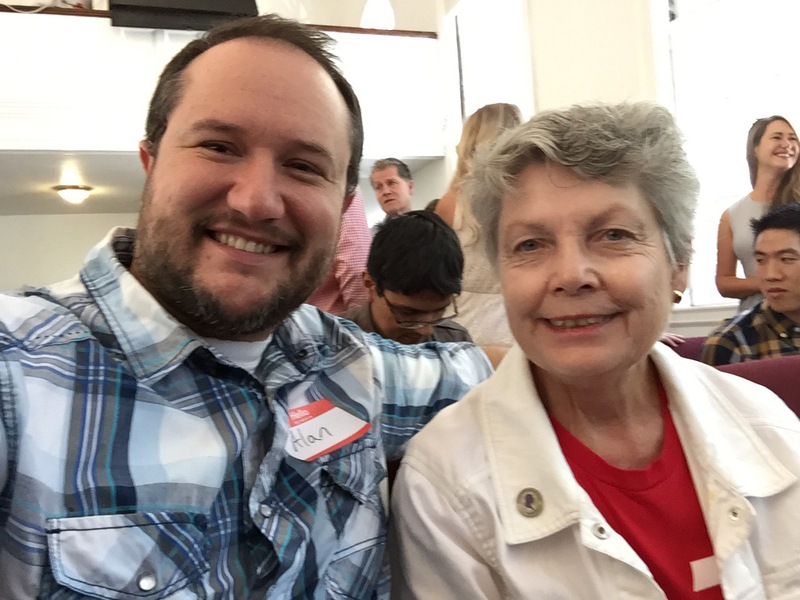 Her name is Kathleen and she shared with us her desire to have a Biblically faithful church in her community. When we shared our calling to church plant and preach The Gospel in Quincy she became very excited and supportive. I have included a picture below of this wonderful sister and would ask for your prayers for her, for Quincy, and for us as we take these first steps towards officially planting in this gospel-starved area. May God continue to build His church and be glorified through our service here! A service made possible by your prayer and support dear reader. And we thank God for you and pray He would bless you as you bless us. To Him be the glory! Amen. Praying for all of you too! Praying for you both! What a crazy thing to observe, but so thankful for your obedience to the Lord and His calling for you. How heartbreaking. Praying for wisdom and guidance. You are truly on the mission field there in the Boston area. Praying for you and know that God will ultimately prevail. Thank you Lord for the “God” intervention of Kathleen meeting Alan. Praying for you and the church plant that is so heavy on your heart.